Limited vinyl LP pressing of this 1998 album from the grunge/alt-rock trailblazers. 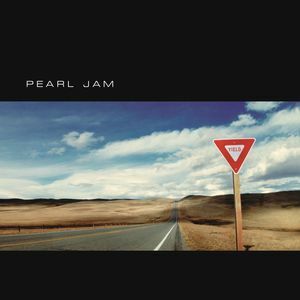 On Yield, Pearl Jam and Brendan O'Brien teamed up once again for a spirited session marked by the breakthrough of band members (guitarists Mike McCready and Stone Gossard, bassist Jeff Ament and drummer Irons) bringing in finished songs for Vedder to add his signature lyrics to. With a more accessible mainstream rock sound and a full-scale tour (and replacing Irons with Soundgarden drummer Matt Cameron, the band's drummer to this day), Yield became the band's fifth straight album to be certified platinum by the Recording Industry Association of America. - The album is mastered specifically for vinyl, by Grammy Award-winning engineer Bob Ludwig and it features recreations of their original packaging.